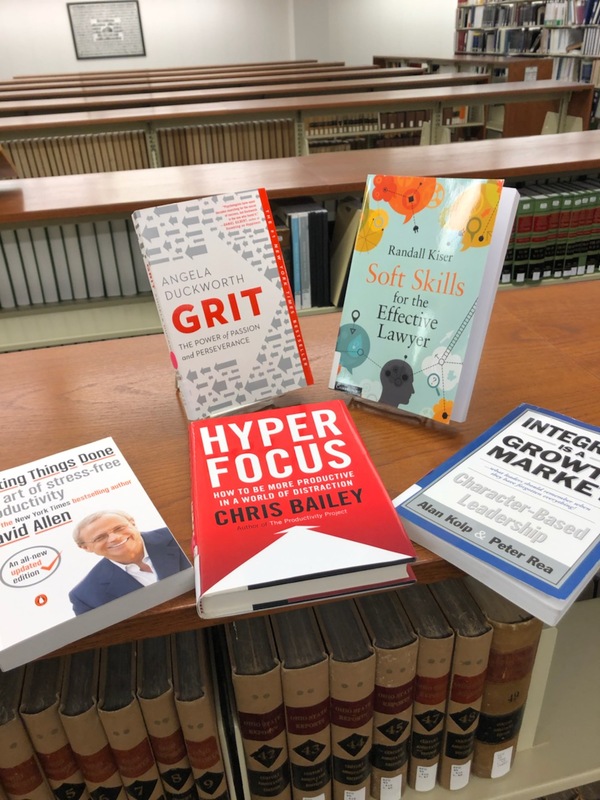 We are pleased to announce that the books dedicated to professional and soft skills are available and located in the Ohio Room. These items can be checked out and cover topics like soft skills for lawyers, grit, productivity, drive, writing, etc. The collection can be found right when you walk into the Ohio Room and is grouped with our Mental Health and Wellness selections. 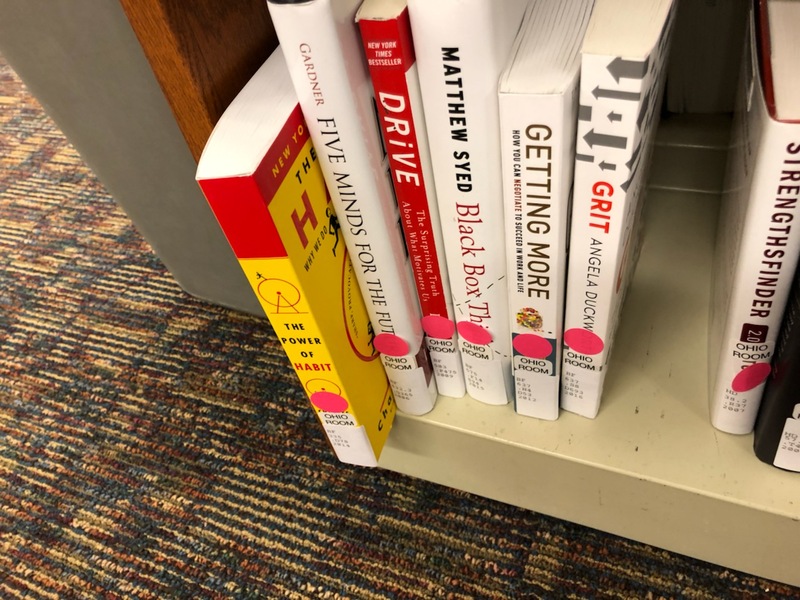 The professional and soft skills books have pink stickers on the spine, while the mental health and wellness books have orange stickers.